Since I was finally tired of making DDS headers manually every time I need to check images from researched games, I made this tool. It needs microsoft's texconv to work. 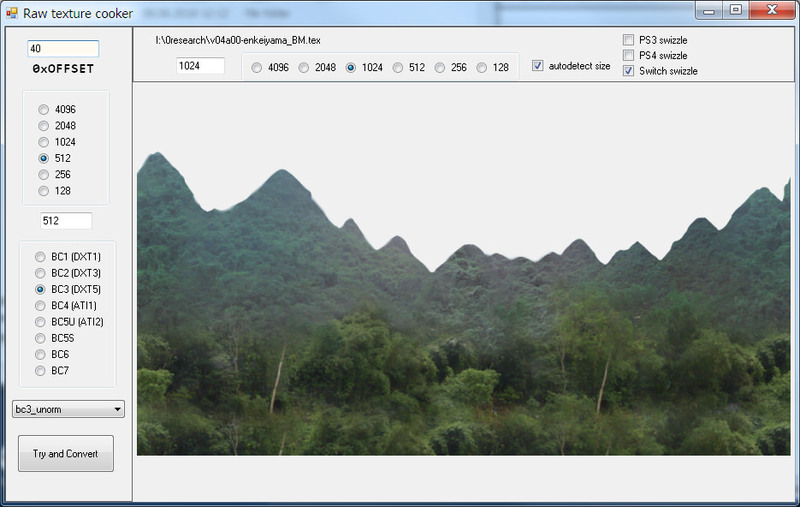 Unlike texturefinder, it supports all image types and immediately converts to working DDS and PNG. Supports PS3, PS4 and Nintendo Switch swizzle types. 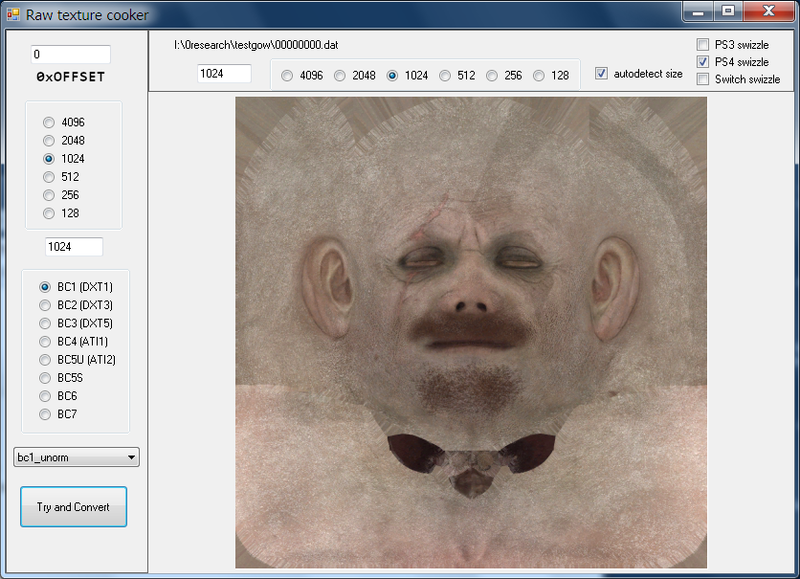 - drag&drop raw image onto ANY place on a window. This will try and detect image dimensions based on file size, make DDS header, convert to PNG and show it. - If you don't like the result, change some settings then press SPACE (or click big button). Last edited by daemon1 on Thu Jun 07, 2018 12:04 pm, edited 4 times in total. All new command line version! You can use it to run batches on thousands of files. This may sound dumb, but when previewing a file with this tool, does it change the DXT selection on the left to show what format the image itself is using? Or do you have to manually adjust that yourself? I'm actually trying to possibly use this tool to read what type of DXT file some images I already have are, so I know what to convert modified versions back into. Now supports PS3, PS4 and Nintendo Switch swizzle types. This is incredibly useful! Any chance that the swizzling options can be added to the command line version too? i have this problem when use it to open MHXX(MHGU) switch. Can you fix this? game456a wrote: i have this problem when use it to open MHXX(MHGU) switch. Can you fix this? There's nothing to fix, everything is working perfectly. Use the field with bold letters "OFFSET"
does this work with PS4 texture files that have all the info located at the footer? This is awesome! Could you please add an option for setting texture swizzling type through the Command Line? It'd be incredibly helpful for converting all the textures in an entire game's folders all in one go. Thanks (and thanks for making this tool in the first place). 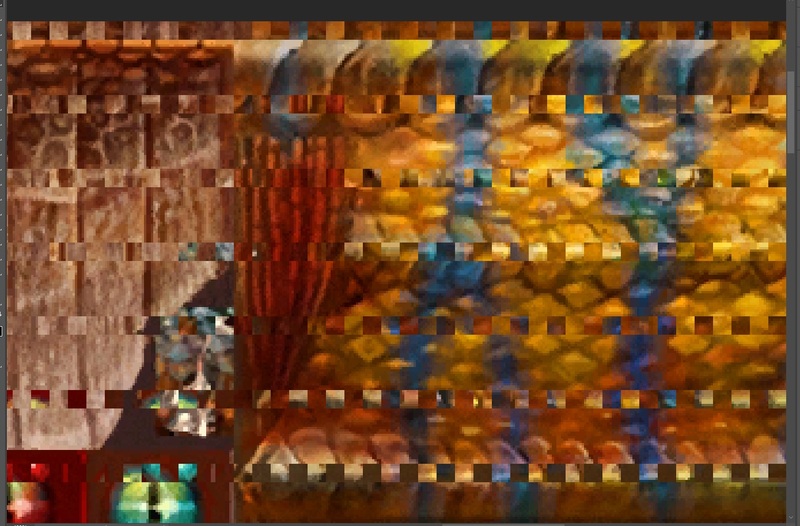 I tried this with a PS4 game, Final Fantasy Dissidia NT, textures seem to be swizzled somehow, however it seems to not be the standard PS4 swizzling? Here are 2 simple sample files, the Square Enix logo and the Koei Tecmo logos shown when booting the game. Ah you were correct, thanks!